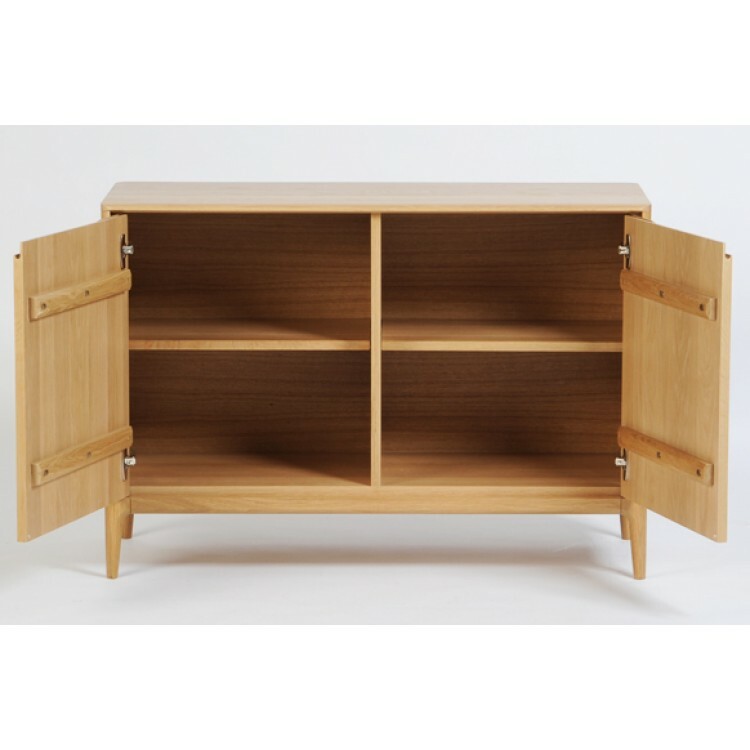 The Ercol Furniture 2647 Romana 2 Door Sideboard made clear matt lacquer oak timber. 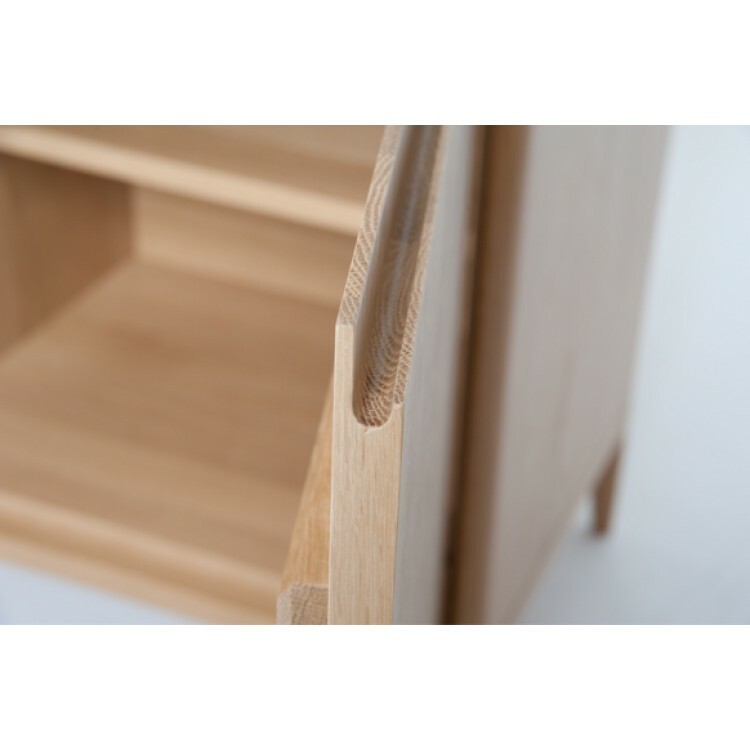 Soft close door mechanisms and adjustable shelves inside each cupboard. 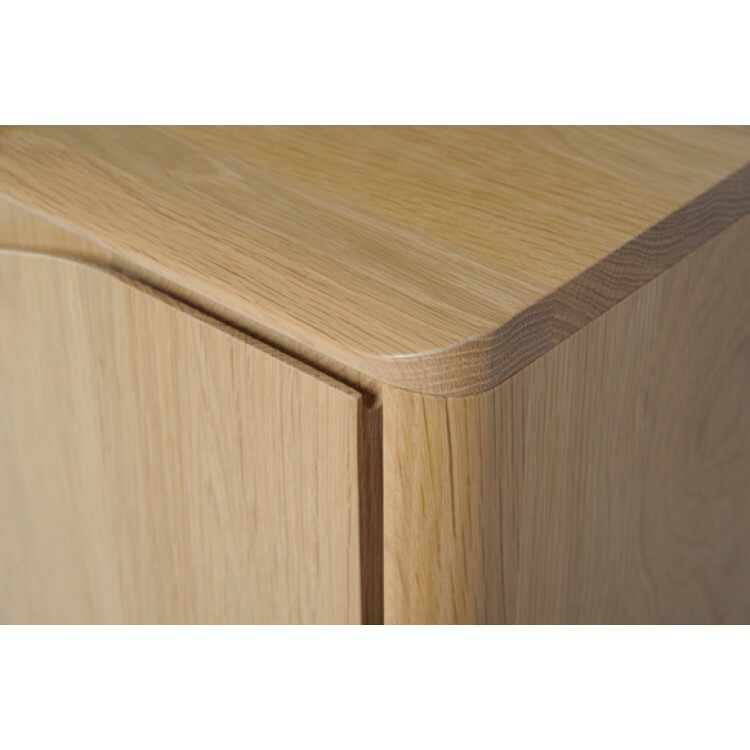 Cut out groove across the top of the doors to use as a handle.